Max Verstappen has apologised for his expletive laden radio outburst following his engine-related retirement in Hungary. Running fifth at the time, as he lost power and slowly ground to a halt and his team called on him to park the car, he responded: "Can I not just go ahead and **** it. "I don't care if this engine blows up," he continued. "What a ******* joke all the time with this ****. Honestly!" 24 hours later and the youngster, having clearly calmed down, took to Instagram to apologise for the outburst. "Looking back on yesterday the disappointment is still there," he wrote. "However, I should not have used the words I did in the heat of the moment. Emotions were running high after a good start to the race. "These frustrations came for a reason, after another unexpected engine failure which have been happening too often over the past few years. "We came to Budapest with high expectations and not being able to be competitive made it hard to swallow for us. I will go into the summer break hoping we will be back stronger after it." Speaking shortly after his retirement, the youngster told Sky Sports: "From both sides, Daniel and me, honestly it's not at all how it should be... you pay millions as a team for, you hope, a decent engine but it keeps breaking down. "We are also the slowest out there," he added. "Honestly at the moment it's difficult to accept. I was very angry on the radio, I think there was a lot of beeping out there... it's a shame they beeped it away as it would have been better if they would have allowed it. But that's how it is. "I was like 25 seconds ahead from the starting position I was in and I felt ok with the car," he added, referring to his position relative to his teammate. "But it's always difficult to say afterwards, we could have been easily fifth if nothing happened in front, so that's again valuable point thrown away. 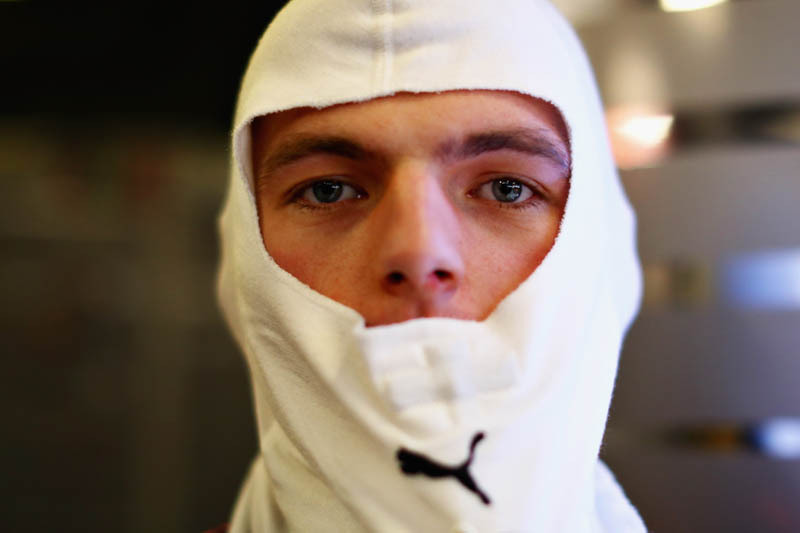 "Let's see what we have to do in Spa, if we have to take penalties or not. I don't know yet. At the moment I don't really care." Asked about the forthcoming break, he replied: "For sure the first week I'm not really enjoying it because the end of your last race. I don't feel I'm in a holiday mood!" Check out our Sunday gallery from the Hungaroring, here. "As TestaRossa stated, No Problem Max, you are excused, those types of outbursts are hard to control! Wow, I really liked the interview with Christian during the race, Millions of Pounds spent on these engines that are supposed to be competitive, but an MGU-K failure. Ask for your money back!! I also liked the question "where is your target finish for Daniel". Reply straight out - 5th! Good job Sky Sports broadcast!!" "No problem Max , as long as you don't verbally attack Charlie as Vet did last year"
"Earlier he said that he wishes the words weren't bleeped..."